Welcome to Elite Chiropractic & Rehab! You’ll love the energy of our warm, inviting office. Our friendly team is here to give you an excellent experience. We know your time is valuable and respect it by seeing you promptly. The necessary paperwork can be found above and submitted online. When you arrive, please bring in identification and your insurance card. 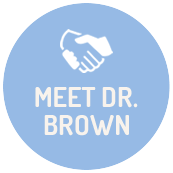 You’ll be given an office tour, then meet Dr. Brown to do a consultation, examination and have X-rays taken. The latest technology is used for scans that show your level of nervous system health. Your relief starts immediately with a type of therapy or on some occasions, a chiropractic adjustment when appropriate. This visit will take 30-45 minutes. When you return, you’ll receive a full report of Dr. Brown’s findings from your first appointment. You’ll have a chiropractic adjustment, and we’ll go over all insurance and financial information. At your regular appointments, the time that you’re here may vary. If you have only a chiropractic adjustment, it usually takes about five minutes. If you have a therapy alongside the adjustment, it may take up to 30 minutes. You decide how much care you want at Elite Chiropractic & Rehab. We always keep your goals in mind, working as quickly as possible to get you out of any pain you’re experiencing. Chiropractic care, however, can be helpful during your entire lifetime and we recommend ongoing care so that you can live your best life. Some insurance coverage is accepted at our office, and we’re a preferred provider for Blue Cross Blue Shield PPO plans. Contact us today to get started!